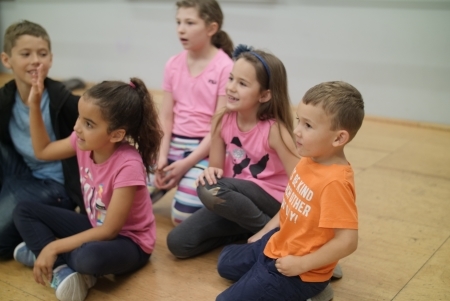 Our masterclasses are both entertaining and insightful. You can come to us or we can come to you. Prices for offsite workshops will vary, depending on the distance from our home base here in North Hollywood, and each come with options so that you can tailor the experience to your specific needs. Below you will find descriptions of the masterclasses we currently offer. 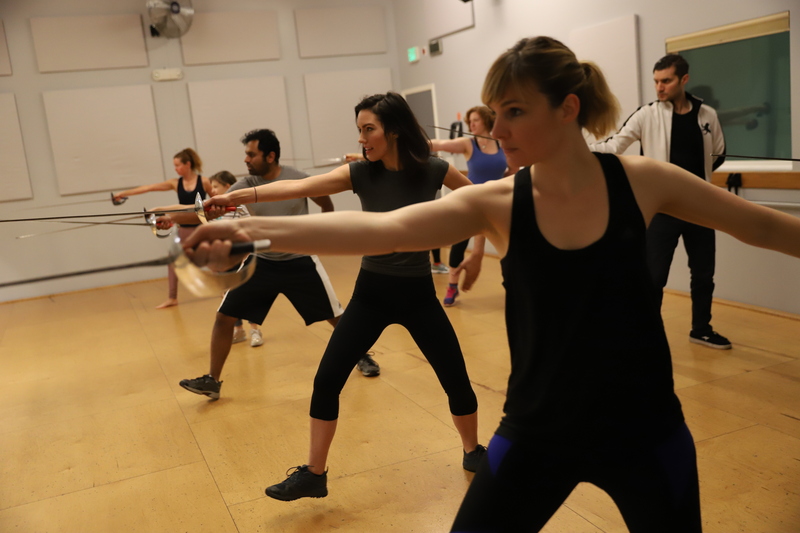 This masterclass was designed to give participants a crash course in theatrical fencing. The 2 hour version features a broad overview of the techniques employed in some of your favorite swashbuckling epics. The 3 hour version features an additional hour dedicated to designing and learning a basic sword fight. For larger groups, customization options, or to have us come to you contact us directly. 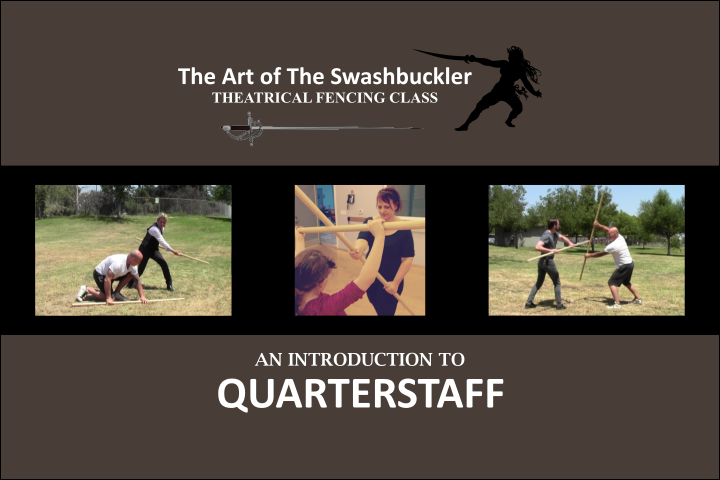 This masterclass was designed to give participants a crash course in quarterstaff combat. 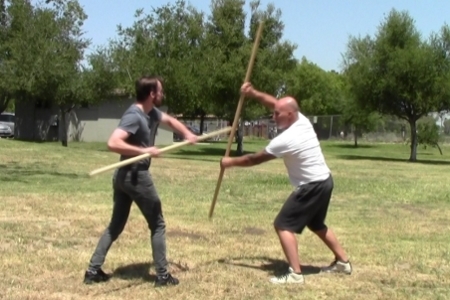 The 2 hour version features a broad overview of the techniques employed in quarterstaff combat. The 3 hour version features an additional hour dedicated to designing and learning a basic staff fight. Fill out the forms for each student and email them to marc@theatricalfencing.com. Choose and complete a payment option above (PayPal fee will be added at checkout). 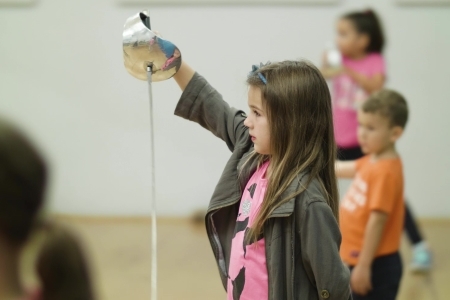 Homeschoolers can use their instructional funding to pay for our classes. We are currently on the Inspire Charter Schools, Valiant Prep, iLEAD, Summit Academy, Compass Charter Schools, Peak Prep Academy and Gorman Learning Center platforms. 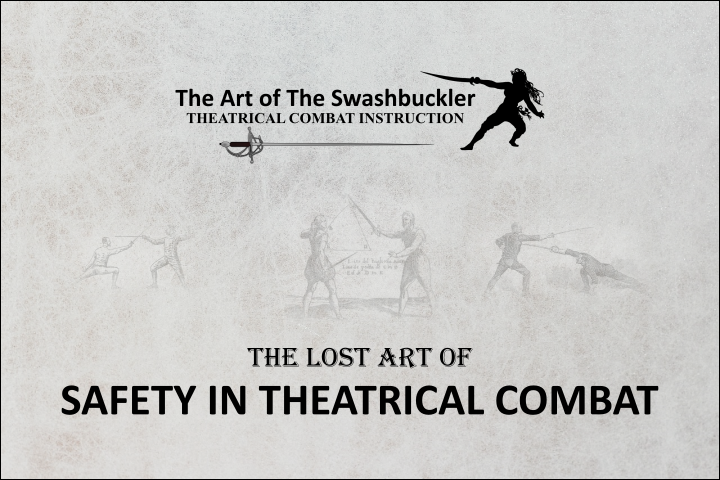 This masterclass was designed to address the rise of injuries on stage and on film sets nationwide. In the 2 hour version, the time will be split between presentation, case study and practical application drills. The 3 hour version features an extra hour of physical training and practical drills. This workshop is special in that it is offered as a public service to a select number of venues throughout a given year. The only cost is for expenses (any extra staff, travel, etc). These are offered on a first come first served basis. 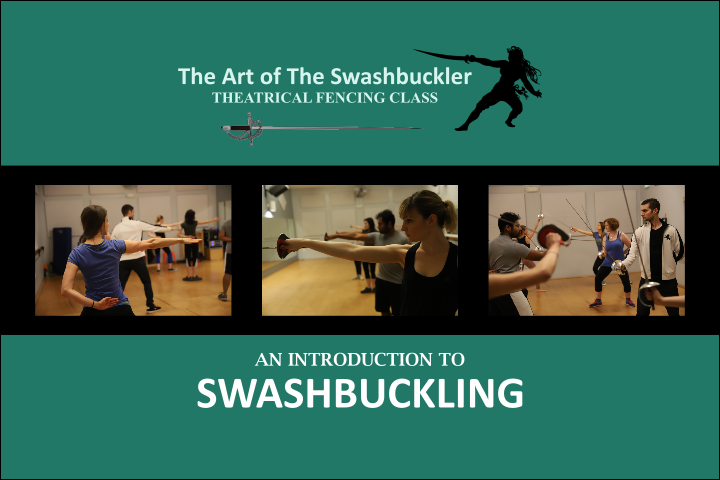 Train in the classic art of theatrical fencing for Free! Like dance, theatrical swordplay is both complex in structure and beautiful in execution. The timing must be precise and the form flawless all while being executed with effortless flair. 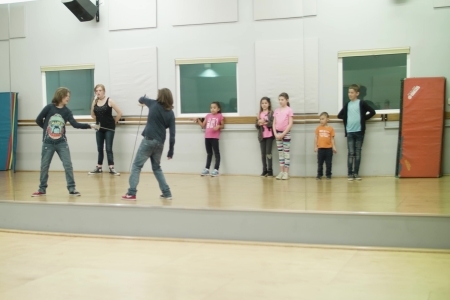 Training in this class will improve your posture, balance, eye-hand coordination and isometric strength. 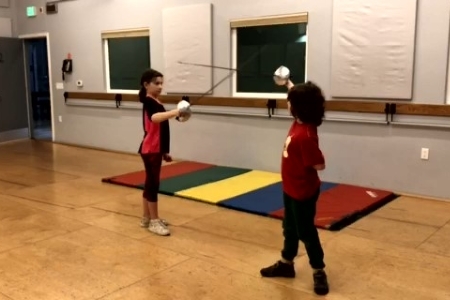 The Art of The Swashbuckler Theatrical Fencing class is a full mind-body experience suitable for all ages. Did I mention you get to play with swords? Safety is a #1 priority for this class. The techniques and safeties that you will learn are the same ones I was taught by legends of this genre and have since put to use over the past 20 years in my work as a professional fight coordinator. In all those years, there has not been a single injury under my watch. I will work tirelessly to make sure I can make the same statement again, 20 years from now. We didn't survive the berserker round but it sure was fun! Shout out to the whole Bayou Boys crew!! Working on a fight sequence with Jack! With spring break and the holidays at an end, classes are back to normal this Sunday. Make sure to book your classes now! Error: Error validating access token: Session has expired on Wednesday, 03-Apr-19 12:26:48 PDT. The current time is Friday, 26-Apr-19 07:42:34 PDT.